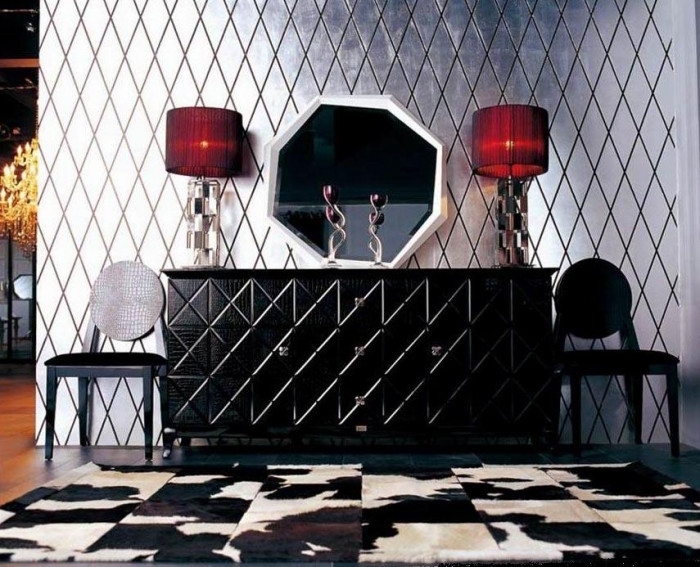 The Monte Cristo black crocodile lacquer Armani Xavira buffet features 2 doors and 3 drawers accentuated with interlocking lines and square stud-like knobs for a genteel appeal. The shiny finish gave this rectangular buffet a cosmopolitan look that stands on bantam-sized curved legs for sturdy support. Dimensions: L71"xD18"xH34"